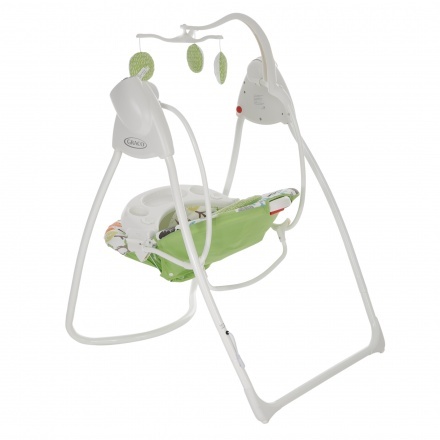 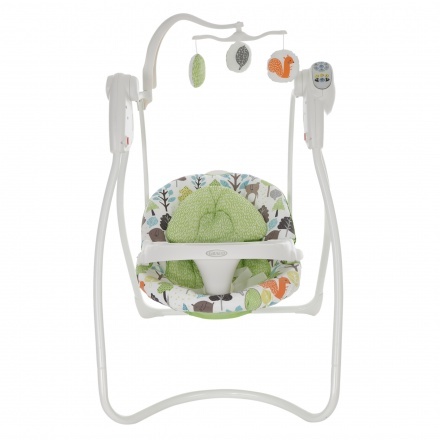 Graco Swing with Plug | Green | It works with a battery or integrated plug-in system. 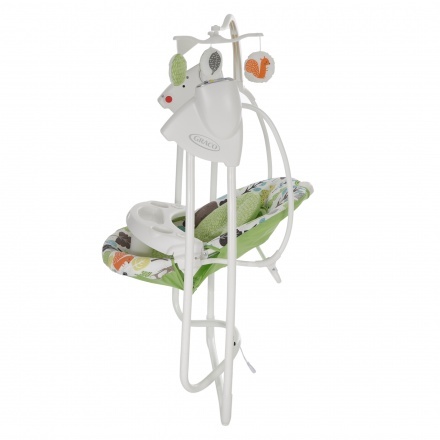 Flaunting a modern concept, this swing comes with a plug for speed control with timer for auto shut off. 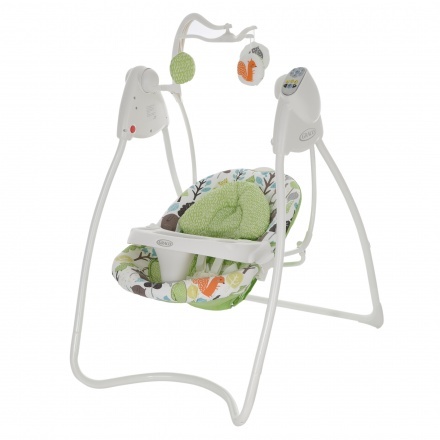 The colourful toys with music and lights add to its charm and keep your baby entertained. 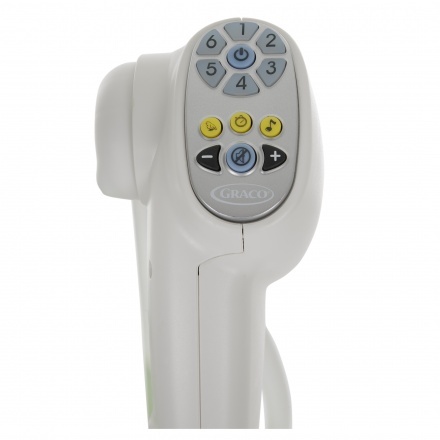 Feature 1 : It works with a battery or integrated plug-in system. Feature 3 : Is made from steel, fabric and plastic. Feature 2 : Has a multi-position seat recline with child tray and can hold up to 1 kgs.